Three races over the weekend saw a large contingent of AURA members participate in ultra distances across the country. 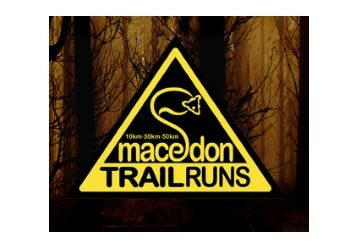 Waterous Trail on Foot (WTF) was held in Dwellingup, WA just south of Perth from Saturday through to Sunday, with a large entry list for the 100mi as well as the 50mi. Slowly coming out of the winter months, it was the first weekend of the warmer weather where temperatures hit 27 degrees – and although 27 isn’t all that hot, it felt more like mid-30s. With a higher than usual DNF rate due to conditions and smart decisions by entrants, eastern states visitor Stephen Redfern, who flew in for the race from Heathcote, NSW took full control of the 100mi and smashed the distance, claiming a record time in the event’s five year history – 16:45:09. In the first year of WTF back in 2013, Ewan Horsburgh finished the race in 17:37 and held on to that victory, but it is now Redfern who claims the title until someone else comes along. Known podium finisher Jen Millum victoriously took second female with 20:44:23 and 5th overall, crossing the finish line with a smile on her face. Massive congratulations also to finishers Shane Holstein (19:54:27) and Glen Smetherham (23:51:55) who both received coveted buckles for completing under 24hrs, and great efforts by those AURA members who made smart decisions to pull out of the race due to various reasons. Sunday saw the Launceston Marathon in Tasmania, which for the first time ever, featured a new distance of 100k. In a field of 10 strong runners, it was AURA’s very own Chris Lewinski from Hobart who took first place with a time of 9:32:46, well ahead of the second place getter by 18 minutes. “It was a surprise win, so I’m feeling super excited,” he said, following his success. The day also saw the Yurrebilla 56k held in SA, where 10 AURA members took on the distance in beautiful conditions. Congratulations to all those who participated, including Morgan Coull (6:15:30), Dej Jamieson (6:23:01), Justin Parise (6:54:29), Piera Kohout (7:01:41), Graham Tottey (7:11:27), David Billett (7:51:16), David Bailey (8:16:00), Rebecca Taipari (8:19:57), Merle Carter (9:38:38) and Chris Glacken (10:28:33). 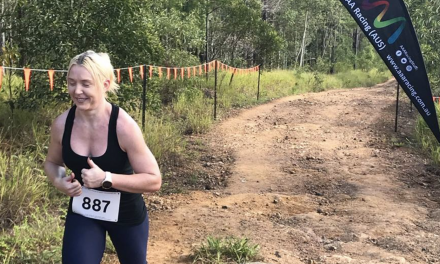 The next AURA-listed event on the calendar is the Nerang 200 Miler in Queensland. 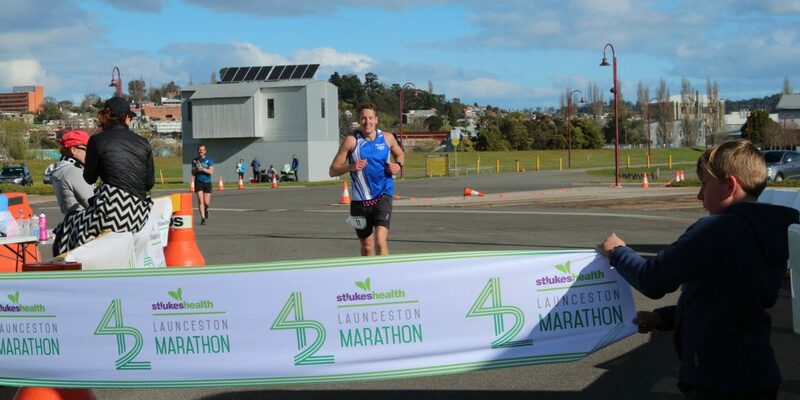 Pictured: Chris Lewinski from Hobart, Tas finishing in first place at the Launceston Marathon 100k event. Photograph – Launceston Marathon.